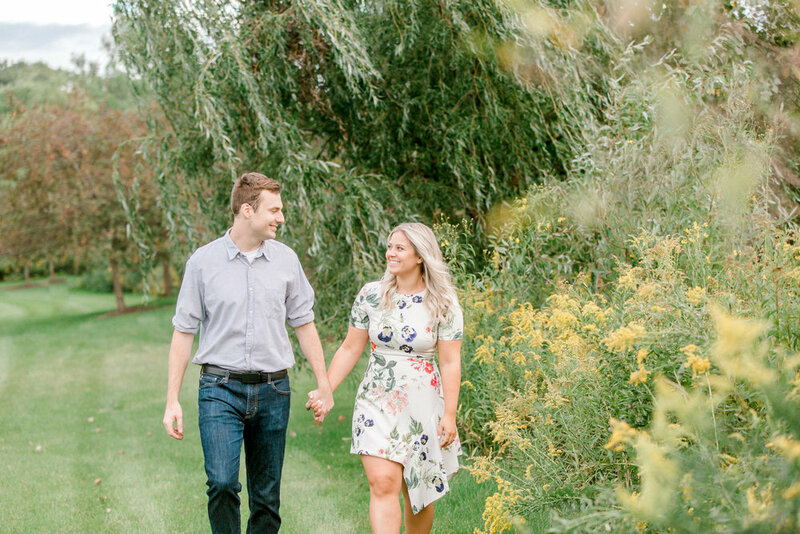 Summer is now behind us, yes, but I still had to share with you guys this engagement session with Amelia and Michael from the tail end of our warm weather for the season! Amelia reached out to me earlier this year after finding me on Instagram (yeah girl!! ), and not shortly after we were chatting and giggling over coffee like besties. We immediately knew our styles aligned and that it was a perfect match! 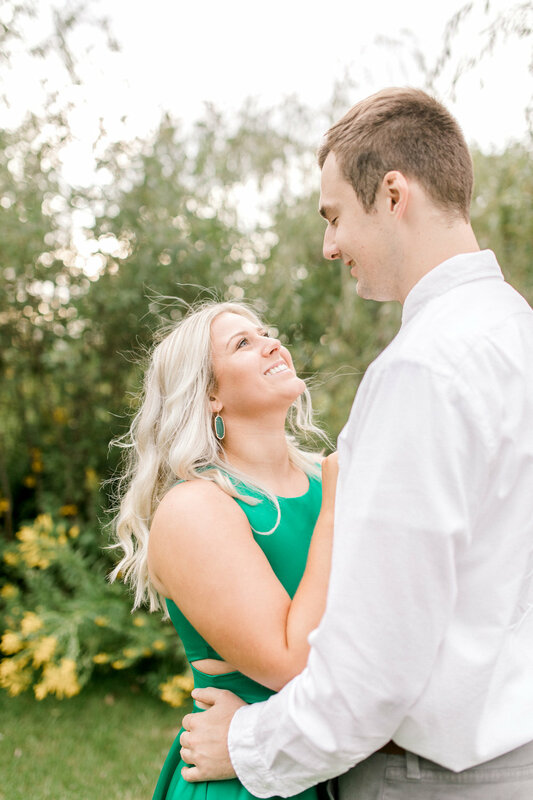 I couldn’t wait to meet Michael and shoot their engagement session! Amelia knew she wanted some greenery and wild flowers, so we decided on using my neighborhood! Just so happens that our entrance boasts nice landscaping, tons of trees and wildflowers, and a fence! Perfectly fitted the style she had visioned. Our evening was warm one - and SO BUGGY. I mean, SO BUGGY is actually an understatement. But despite swatting squitos left and right and dealing with perhaps a dozen fresh bug bites, THEY CRUSHED IT. Amelia and Michael will wed in June 2019 - and it’s going to be a party! Can’t wait! Enjoy some of my favorites from our session together!